The body of the fourth person who was on the Fisherman’s Provider ll, 64-year-old Roger Stoddard, the captain of the vessel, was recovered at approximately 8:30 a.m. Feb. 8 by local fishermen. The vessel struck what is commonly known as Frying Pan Shoal, near Canso, at approximately 8 p.m. on February 6. Three men were rescued that evening from the boat while a fourth remained onboard. The rescue effort was continued that evening and the following day by the Joint Rescue Coordination Centre (JRCC). On February 8, the matter was returned to the RCMP’s jurisdiction as a missing persons investigation. This was after the JRCC had exhausted its efforts to recover the body of Stoddard. Guysborough District RCMP said it will continue to work with partner agencies in the investigation of this incident. 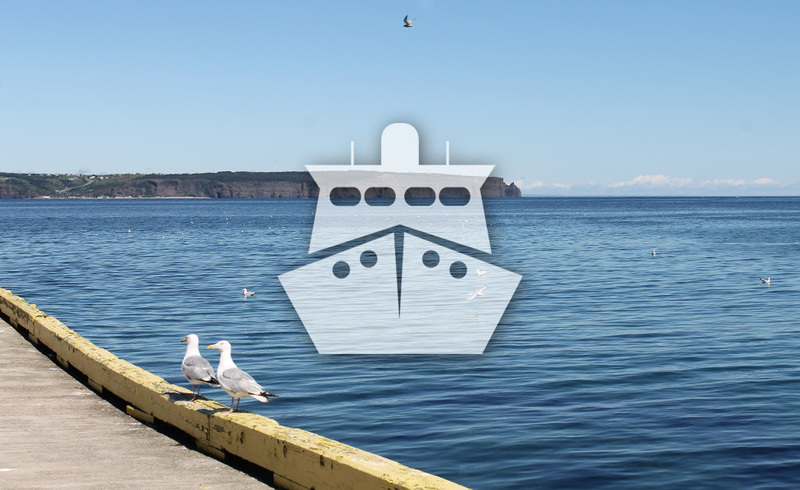 The Transportation Safety Board of Canada (TSB) had deployed a team of investigators to Sydney, Nova Scotia, following the grounding of the fishing vessel Fisherman’s Provider II. The TSB will gather information and assess the occurrence. The FFAW-Unifor applied in February to the Supreme Court of Newfoundland and Labrador to try and overturn a Feb. 21, 2017 decision of the province’s Labour Relations Board. In that decision, handed down almost exactly a year ago, the Board ruled FISH-NL is an “association of fishers” under the Fisheries Industry Collective Bargaining Act. The FFAW-Unifor had challenged FISH-NL’s status as a properly constituted union. A court date is expected to be set soon. Nova Scotia and P.E.I. fishermen’s associations announced at a Feb. 20 meeting with Northern Pulp that they are suspending any further meetings until an alternative to the proposed plan to pipe pulp mill effluent directly into the Northumberland Strait is available for discussion. 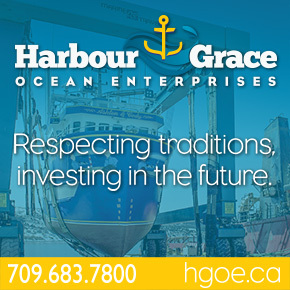 Since the proposal was announced last fall, the Gulf Nova Scotia Fleet Planning Board (GNSFPB), the Prince Edward Island Fishermen’s Association (PEIFA), the Maritime Fishermen’s Union (MFU), representatives from other Nova Scotia fishermen’s associations and the Pictou Landing First Nations (PLFN) have remained firm on their “no pipe” stance and are frustrated at the lack of an alternative option. The fishing organizations have identified large gaps and questionable credibility of the science provided by Northern Pulp. The harvesters have made it clear that they do not want the mill to close and want to find an alternative that will not impact either industries or the environment in a negative manner. This was the third meeting where the fishermen’s groups have met with Northern Pulp to gather information and discuss different options for the treatment and disposal of the effluent; however, they feel they have reached an impasse, as Northern Pulp continues to defend their pipe proposal, claiming it is their only option. The fishermen’s associations feel their time and energy would be better spent on collecting proper information and building a case rather than on meetings that continue to conclude with the same outcome; no forward progress. The fishing organizations are willing to resume discussions with Northern Pulp if an alternative solution to the pipe is presented. Yarmouth-based fish cannery IMO Foods Ltd. was honoured with the Award of Excellence at the recent 20th annual Nova Scotia Department of Fisheries and Aquaculture Fisheries Minister’s conference. “We are pleased and truly appreciate the recognition from the N.S. Minister of Fisheries,” IMO Foods wrote on its Facebook page. A major fire destroyed East Coast Seafoods’ Paturel International Facility on Deer Island, N.B. March 1. The fire broke out before 2:30 am, according to the RCMP. The company said that there were no injuries, as the facility was not in production when the fire broke out. A company spokesperson said the live lobster facility located at Paturel International was not affected in the fire and will resume normal production. The lobster processing that was to take place in the affected building will be moved to one or more of the company’s facilities across North America. The Government of Canada recently awarded a contract for the refurbishment of a Canadian Coast Guard facility in St. Anthony. Made possible through Oceans Protection Plan funding, the $1.1-million contract, awarded to ENERCON builders of N.L. will transform a former Marine Communications and Traffic Services site into a Coast Guard search and rescue lifeboat station and includes interior mechanical and electrical renovations as well as some exterior work. There are currently 41 search and rescue lifeboat stations located strategically across Canada to respond to maritime search and rescue incidents. 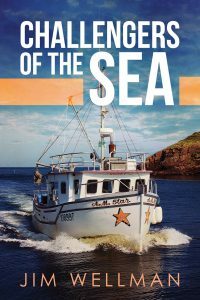 Jim Wellman’s tenth book, Challengers of the Sea, is a collection of true stories that brings the reader face-to-face with men and women who take on the best and worst of what the Northwest Atlantic Ocean offers. The book contains gripping accounts of losing sons, husbands, brothers and best friends to the ravages of the unforgiving seas and inspirational stories about the heroes that protect those that make their living on the ocean. Wellman grew up in Port Anson and now calls St. John’s his home. Wellman is best known as the former voice of the CBC Radio Fisheries Broadcast and has written the very popular column Final Voyages for the marine and fishing industries magazine, Navigator, for the past 20 years. The Department of Fisheries and Oceans is deeply concerned about the latest Newfoundland and Labrador Atlantic salmon stock assessment. During a March 5 technical briefing, DFO reported that the 2017 assessment was the second year in a row with significant declines in returning salmon. In 2017, 80 per cent (or 12 of 15) of rivers monitored by DFO showed declines of more than 30 per cent in total returns compared to the previous five to six years. This placed those rivers in the critical zone. Three of four rivers monitored in Labrador were also placed in the critical zone. DFO said declines of this magnitude over a wide geographic range are highly unusual for the N.L. region and has not been seen in the years since the commercial salmon moratoriums in 1992 (Newfoundland) and 1998 (Labrador). Estimated recreational catches for Atlantic salmon in 2017 was approximately 19,400 retained and 22,800 released. Estimated harvest from Labrador aboriginal and subsistence fisheries was 13,600 salmon in 2017, which was four per cent less than the previous six-year average (2011-16). Genetic analyses indicated that the majority of these salmon were of Labrador origin (95-99 per cent). Fisheries and Oceans Canada recently approved an increase in the minimum carapace size in LFA (lobster fishing area) 26B. The minimum carapace size — the measurement from the back of the lobster’s eye socket to the end of its body, before the tail joint — was 81 millimetres last year. It will now increase to 81.7 millimetres for the 2018 season and 82.5 millimetres in 2019, which is the minimum size to allow Canadian lobsters to enter the U.S. without processing. Area 26B covers the entire western coast of Cape Breton. Dwight Ball, Premier of Newfoundland and Labrador, recently congratulated the province’s world-class business and academic institutions that played an integral role in the Atlantic Oceans Supercluster’s successful proposal under the Federal Government’s Innovation Superclusters Initiative. 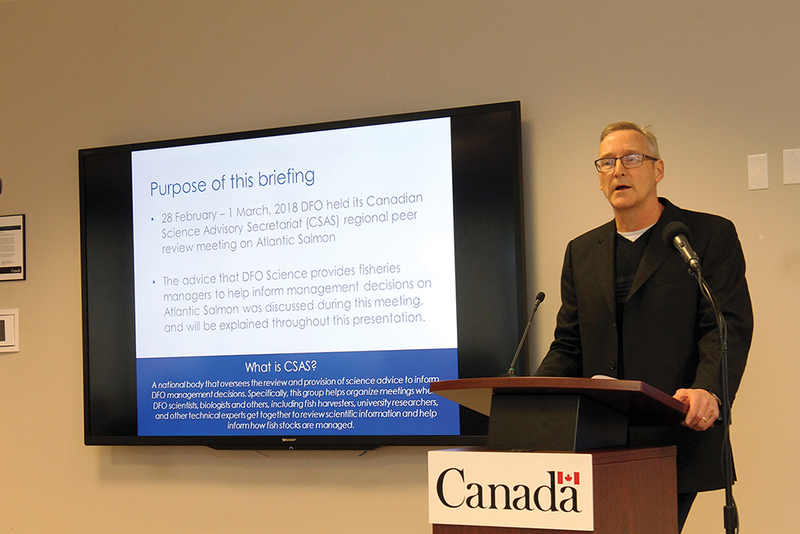 The Atlantic Oceans Supercluster represents aquaculture, defense, fisheries, marine renewable energy, ocean technology, oil and gas, shipbuilding and transportation, partnering with entrepreneurs, governments and post-secondary institutions. Newfoundland and Labrador will be well represented with almost 40 organizations as part of the Supercluster, including Petroleum Research Newfoundland and Labrador, Memorial University, PAL Aerospace, Kraken Sonar Inc., radient360, G.J. Cahill, Bluedrop and Ocean Choice International. Norway exported 37 per cent more cod in January 2018 compared to the prior year, as good fishing weather boosted catches. Seafoodnews.com reported that total fresh and frozen cod exports were 5,700 tonnes in January 2018 compared to 4,200 tonnes in January 2017. “The good weather in January has given increased volumes for cod and whitefish compared to the same month last year, although prices have been somewhat lower. Prices in January have been far higher than the average for the whole of 2017. Relatively high prices for especially cod and haddock, coupled with increased volumes, mean that codfish products are experiencing their best January ever,” says Ingrid Kristine Pettersen, analyst with the Norwegian Seafood Council. Norway’s high-end cod, marketed as Skrei, saw increases in both volume and value, with total exports of 589 tonnes, versus 389 tonnes in January of 2017. Skrei value was also up 45 per cent. Overall, cod prices declined, however, as total value only rose 26 per cent, less than the total volume. Thai Union Canada recently announced that it has engaged Daley Seafoods to oversee operations and management of its seafood processing facility in Tracadie-Sheila, New Brunswick, according to Seafoodnews.com. Daley Seafoods will be responsible for all elements, inclusive of but not limited to, procurement, fiscal management, employee administration and plant operations. The plant, Les Pecheries de Chez Nous, was formerly run by Francois Benoit, who will move into new ventures. Benoit sold majority ownership of the plant to Thai Union in 2016. The company opened a new lobster pound in 2017 with an investment of $2.3 million, supported with a $250,000 grant from the province. The deal will also put Daley in charge of managing the Bass Harbor, Maine operations facility for buying and holding live lobster. Thai Union purchased Orion Seafood, the major lobster dealer in New Brunswick, in 2015 and since then has ramped up its marketing of lobster both through its Chicken of the Sea Frozen Foods company in the U.S. and through direct export sales to China under the Thai Union label. Daley opened a crab plant in New Brunswick in 2017 as well. No Replies to "On the Waterfront – April 2018"